The local food markets in Bagni di Lucca are great. You can buy wonderful local produce at reasonable prices. There is a good selection of seasonal fruit and vegetables and there is often a stand selling fresh fish and one selling roast chickens and other delights. 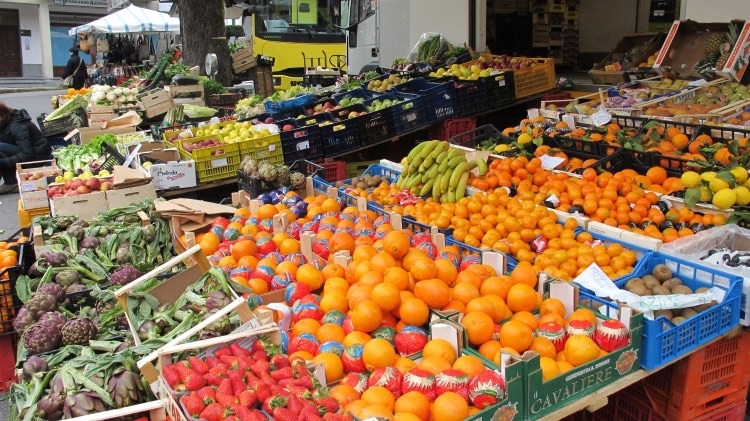 The markets are held every Wednesday and Saturday at La villa and Tuesday and Friday at Fornoli. They start at about 9.00am until 1.00pm. This was my haul one day. This entry was posted in Eating in Bagni di Lucca and tagged Bagni di Lucca, food, food markets, fresh food markets in Italy, Italy, local food markets, local produce, photography, travel by Debra Kolkka. Bookmark the permalink. Thank you, I love food markets. We went to the market at La Villa on our last trip to Bagni. Having bought a load of tomatoes and an onion the stall holder asked what we were going to do with them. I said “make a sauce” and he handed me a bunch of basil and a bunch of parsley for free! Made my day! They often do that. I usually end up with a couple of extra carrots or celery if I say I am making soup. In summer you can smell the strawberries from the other side if the street. Lovely fresh produce….great shopping Debra. I love shopping there…just a few more weeks. …and bound to be good for you. Your photos!! Beautiful. I would love to shop like this every day. 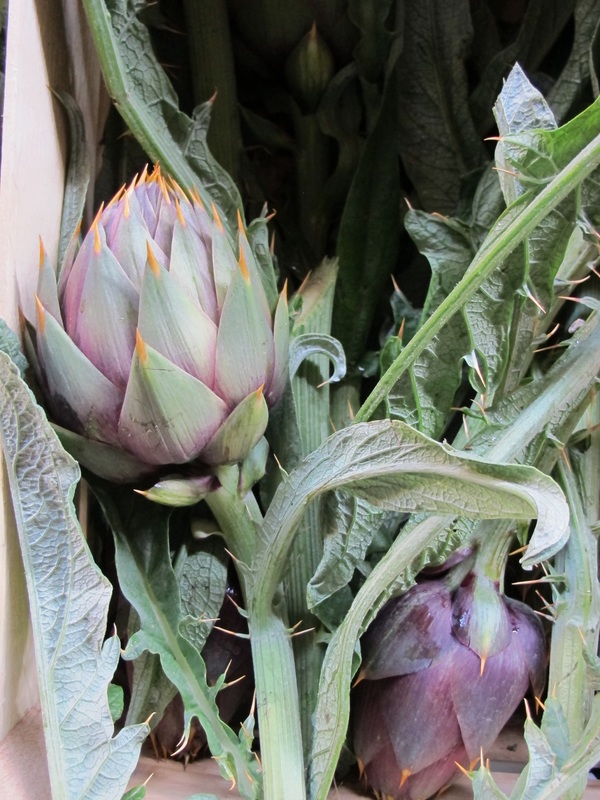 As well as the market we have Patrizia’s shop which also has wonderful produce. There is no excuse to eat badly in Italy. We always go, particularly on Saturdays, as Wednesdays we go to Forte dei Marmi (they also have a Farmers’ Market where you can find, in season, the best cherries at a reasonable price). In Bagni, as Liz says, the porchetta is great and their freshly roasted chicken is also good. Fruit and vegetables are excellent and I think that last time I bought all of their kaki produce. Yummy! We are spoiled for choice in the villages and towns around us. 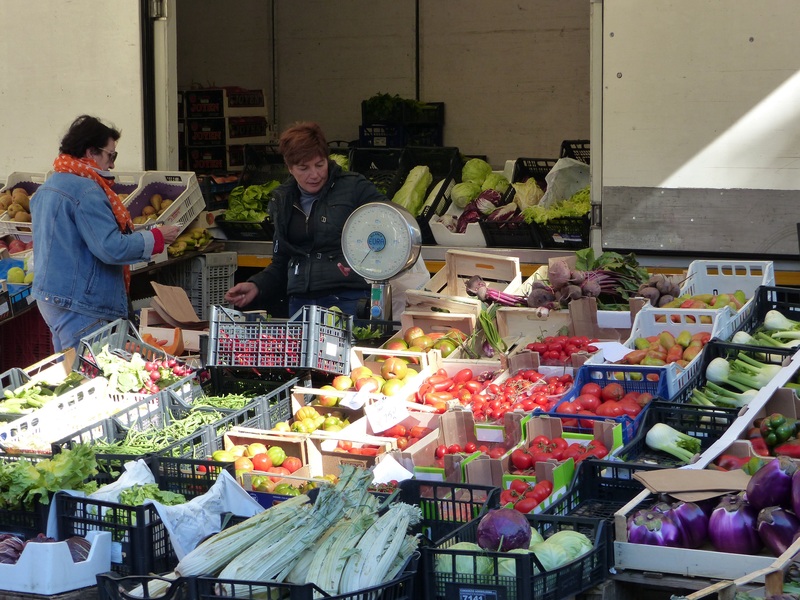 Lucca has a great central market, and I love the food markets at Castelnuovo too. Those really ARE fab photos!!! Lovely! Thank you. Food is very photogenic. Yes, it is usual for the proprietor to chose for you, but at these markets you select your own. I leave Brisbane on 9th February. I can’t wait to leave this heat. I love the way that citrus fruit looks more ‘real’ in Italy, with branches and leaves attached, having that ‘just cut’ look. These are clementines, my favourite winter fruit. A yummy, healthy haul Deb!! Inspiring colours. I have always been happy with anything purchased at the markets. The prices are very good too. I remember being there. The Porchetta Involtinos are great there. I also remember another market in Fornoli. The bell peppers and tomatoes are excellent. Both the La Villa and Fornoli markets are great value. I have made some delicious meals from my finds there. I make it a point to try and support Patrizia in her local fruit and vegie shop as much as I can to help sustain local businesses. Too many shops close in the area as it is and she must have a hard time competing against the local market I assume? I think more effort should be done to support local shops if possible to keep the place alive. I shop there regularly too, and I have written about her lovely shop on both blogs. I agree that we need to support local businesses and I always prefer to support a small one rather than a large one, having been a small business owner for a large part of my life. I have always wondered what the markets look like in Dec/Jan/Feb. 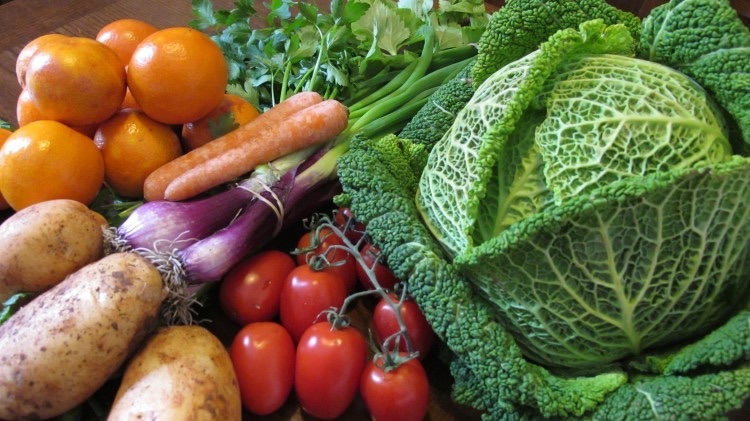 How much produce is available in the winter months? We are suffering here in Alaska with terrible looking produce that must have traveled thousands of miles before reaching us – bleh. Basically we eat green beans and broccoli for several months. Can’t wait for our June trip to Italia!!! 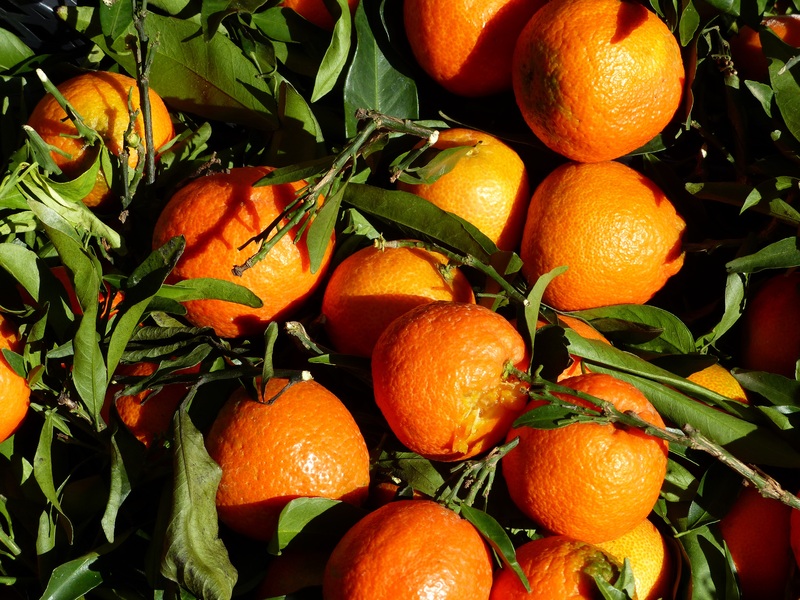 The winter markets have lovely clementines and oranges. Fennel and cavalo nero are lovely winter vegetables. 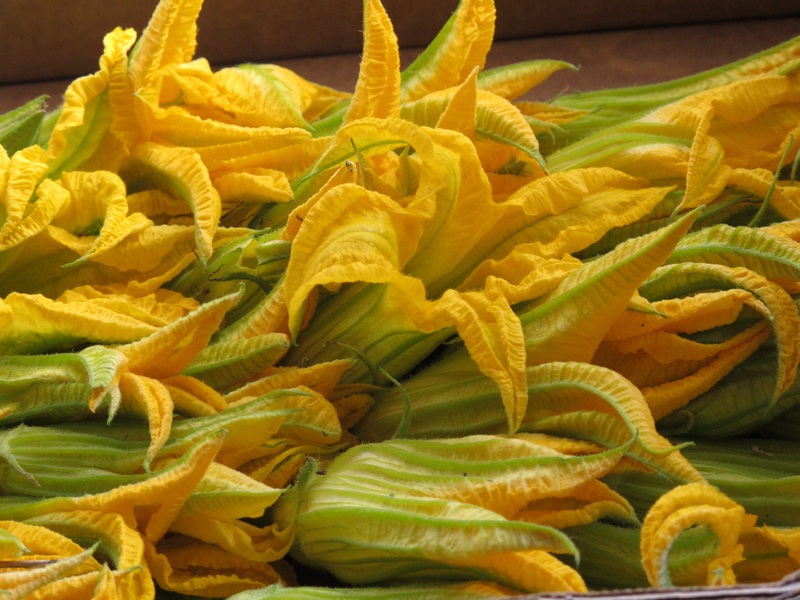 There is not as much variety as there is in the warmer months, but these days things are brought in from other areas. Oh yum! One of the things I look forward to most in thinking about our move to Italy, is that I can shop every couple of days for really fresh produce. Thanks for this post. I’ve been away from WP for a while but I’m back and ready to read all your back posts! Not having been to Bagni di Lucca, I’m curious to know more about it. What I’ve seen and read thus far across the internet makes me think I’d like it! I like to shop almost daily. 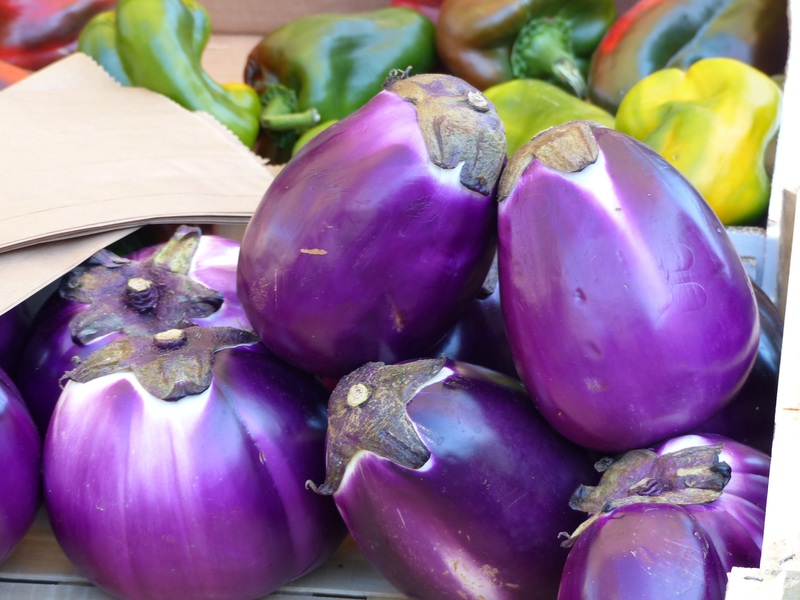 You can choose what looks the best and be inspired by the produce to cook something delicious. We have great markets here in Australia too, and I shop the same way here. Bagni di Lucca is lovely and am delighted we decided to spend part of our lives there. I look forward to exploring it! Bagni di Lucca is a collection of about 25 villages. La Villa is the commercial centre of Bagni di Lucca. It is one of 3 villages along the Lima River. The rest are scattered through the hills. Enjoy your stay. Have a look through the blog to see more.